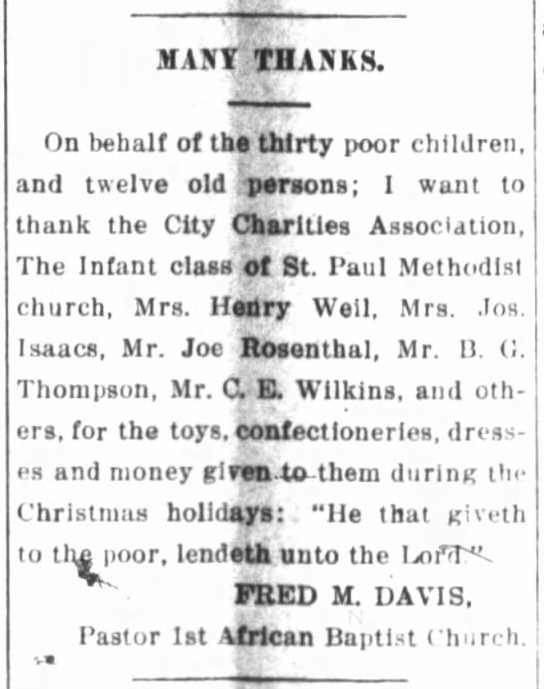 Goldsboro Daily Argus, 26 January 1918. During a brief stretch in which he was not pastor of Wilson’s First Baptist Church, Rev. Fred M. Davis Sr. led the flock at Goldsboro’s First African Baptist. He lived a fine Christian life. Wilson Daily Times, 22 July 1944. In the 1880 census of Gardners township, Wilson County: farmer Wade Barnes, 33; wife Adline, 25; children John, 6, Willis, 3, and Varina, 1; and Dury Simons, 60. On 23 November 1894, John A. Barnes, 21, of Wilson County, married Sarah Jane Staten, 23, of Wilson County, at Margarett Staten‘s in Wilson. Witnesses were Aaron Sharp, William Weaver and George Weaver. In the 1900 census of Gardners township, Wilson County: day laborer Johnny Barnes, 25; wife Sarah, 29; and children Victoria, 10, Robert, 8, Ella, 2, and Johnny, 8 months. In the 1910 census of Gardners township, Wilson County: John Barnes, 36, church preacher; wife Sarah, 38, dressmaker; and children Robert, 16, Mary E., 12, John E., 11, Wade, 8, Rosa L., 4, and Frank, 3. In the 1920 census of Gardners township, Wilson County: on Lipscomb Road, farmer John A. Barnes, 44; wife Sarah J., 45; and children Ella M., 22, John, 20, Wade, 17, Rosa L., 15, Frank, 12, Willie C., 10, Bessie M.C., 8, Roy L., 7, and Elson, 6. John Jr. and Wade worked as wagon factory laborers. In the 1930 census of Gardners township, Wilson County: at 739 Lipscomb, owned and valued at $2000, farmer John A. Barnes, 55; wife Sarah, 55; aunt Lucy Bynum, 65; and son Frank W., 23, cook at cafe. Mary Ella Barnes died 24 March 1934 at Mercy Hospital. Per her death certificate, she was born 1 July 1897 in Wilson County to John Allen Barnes of Wilson County and Sarah Jane Staton of Tarboro; was single; worked as a laundress; and resided at 403 Viola Street. In the 1940 census of Gardners township, Wilson County: at 739 Lipscomb Road, garden worker John A. Barnes, 65; wife Sarah J., 71; son John A., Jr., body work-Hackney Bus Bodies; daughter-in-law Emma, 35, laundry; son Wade, 36; grandson James D., 17; and grandchildren George, 15, Odell, 13, and Margaret McAllister, 10, and Inez Tart, 9. John Allen Barnes died 20 July 1944 in Wilson. Per his death certificate, he was born 25 January 1879 in Wilson County to Wade Barnes and Adeline Bynum; was married to Sarah Jane Barnes; lived at 739 Lipton [Lipscomb] Street; and was a preacher. The Carolina Times, 20 November 1937. Elder C.L. 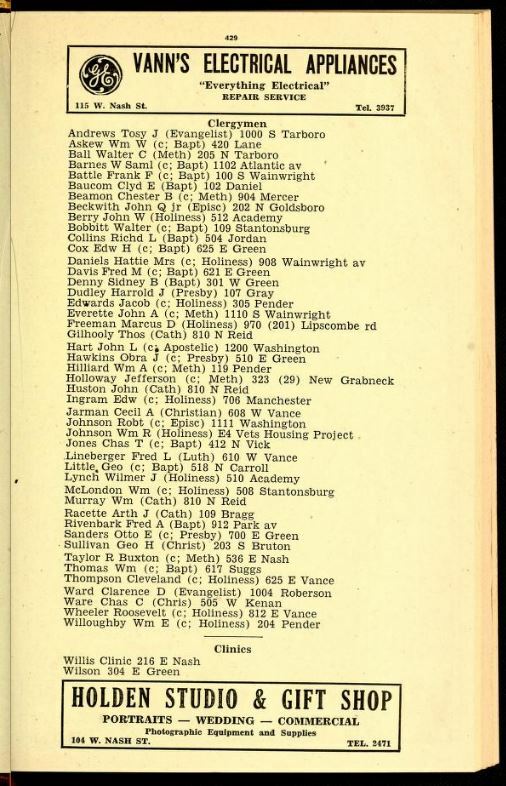 Faison is elusive in census records and directories of Wilson, and apparently divided his time between Wide-Awake and Durham, North Carolina, where his Church of God in Jesus Christ, New Deal, Inc., was incorporated. Per his death certificate, Cluster L. Faison died 27 March 1963 in Durham. He was born 9 September 1889 in McCrae [McRae], Georgia, to Eli Faison and Della Thorpe; was a clergyman; and was married to Isabelle Faison. Studio shots, no. 79: Rev. Charles H.C. White. Rev. Charles H.C. White briefly served as pastor of Calvary Presbyterian Church and is depicted in its centennial anniversary booklet. Wilson Daily Times, 22 April 1939. The Carolina Times (Durham, N.C.), 21 June 1969. Hill’s Wilson, N.C., City Directory (1947). William W. Askew, Baptist — William Wesley Askew. Per his death certificate, William Askew died 2 March 1956 in Wilson; was born 13 March 1890 in Bertie County, North Carolina, to Isaac and Mance Askew; was married to Elizabeth Askew; worked as a minister; and resided at 1104 Rountree Avenue. W. Samuel Barnes, Baptist — pastor of a Missionary Baptist church. Frank F. Battle, Baptist — pastor of Good Hope Missionary Baptist church. Chester B. Beamon, Methodist — A.M.E. Zion minister. 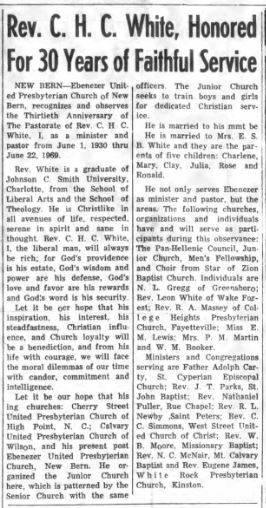 Walter Bobbitt, Baptist– Walter Lee Bobbitt, pastor of Saint John Free Will Baptist. Per his death certificate, Bobbitt died 26 February 1952 at his home at 109 Stantonsburg Street, Wilson; was born 19 November 1896 in Pitt County to Sidney Bobbitt and Millie Payton; was a minister; and was married to Annie Bobbitt. Edward H. Cox, Baptist — Eddie Harrison Cox, pastor of Piney Grove Free Will Baptist. In the 1940 census of Wilson, Wilson County: minister Eddie H Cox, 49, and wife Carrie H., 32. Hattie Daniels, Holiness — Hattie Owens Daniels. Per her death certificate, Hattie Daniels died 25 April 1979 in Wilson; was born 4 July 1900 in Chester County, Georgia, to Mack Owens and Mary Gardner; was widowed; resided at 908 Wainwright Street; and was a minister and kindergarten teacher. Informant was daughter Deborah Daniels of the home. Fred M. Davis, Baptist — Fred Marshon Davis Sr., pastor of Jackson Chapel First Baptist and others. John A. Everette, Methodist — pastor of Trinity A.M.E. Zion Church. John L. Hart, Apostolic — John L. Hart died 6 February 1963 at Mercy Hospital. Per his death certificate, he was born 28 January 1901 in Wilson County to Benjamin Hart and Temie Ann Jones; was married; was a minister. Elouise Hart, 1200 Washington Street, was informant. Obra J. Hawkins, Presbyterian — Obra Jeffrey Hawkins, pastor of Calvary Presbyterian. William A. Hilliard, Methodist — William Alexander Hilliard was pastor at Saint John’s A.M.E. Zion Church. In 1942, he registered for the World War II draft in Wilson. Per his registration card: he resided at 119 Pender; his mailing address was 2449 Woodland Avenue, Kansas City, Missouri; he was born 14 September 1904 in Greenville, Texas; his contact was Mrs. Veta Watson of 2449 Woodland; he was employed as a minister in the A.M.E. Zion connection serving in Wilson. Jefferson Holloway, Methodist — pastor of an A.M.E. Zion church. Jefferson Davis Holloway died 7 November 1982 in Wilson. Per his death certificate, he was born 14 November 1885 in Wilson County; was married to Ella Holloway; and resided at 323 Griffin Street. Edward Ingram, Holiness — pastor of Nazarene Holiness Church. Robert Johnson, Episcopal — Robert Josiah Johnson, Saint Mark’s Episcopal. Charles T. Jones, Baptist — Charles Thomas Jones, pastor of Ebenezer Baptist Church. George Little, Baptist — pastor of Mount Zion Free Will Baptist Church. George Washington Little died 1 April 1957 on the A.C.L. railroad tracks near Wilson. Per his death certificate, he was born 12 July 1910 in Wilson County to Wash Little and Louise Barnes; worked as a minister and laborer; resided at 606 North Carroll Street. Louise Little was informant. William McLondon, Holiness — pastor of Mount Zion Holiness Church. Otto E. Sanders, Presbyterian — Otto Edward Sanders, former pastor of Calvary Presbyterian. R. Buxton Taylor, Methodist — Russell Buxton Taylor, A.M.E. Zion minister. William Thomas, Baptist — pastor of a Missionary Baptist church. Roosevelt Wheeler, Holiness — in the 1940 census of Wilson, Wilson County: at 812 East Vance, minister Roosevelt Wheeler, 26; wife Minnie, 24; and lodger Jessie Edwards, 17. Celebrating 50 years in the Episcopal priesthood. 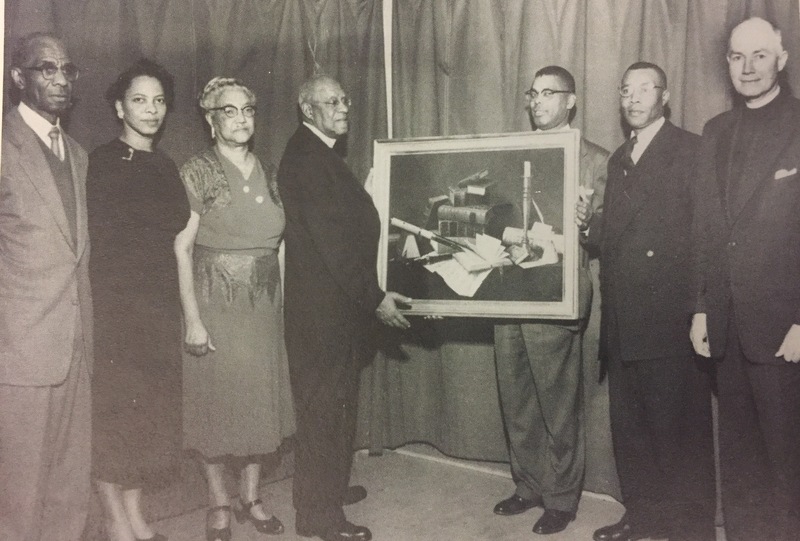 William Hines, Ann J. Hines, Anna Burgess Johnson, Rev. Robert J. Johnson, Wilton M. Bethel, Rev. O.J. Hawkins and Rev. David Yates, 1960. Ann J. Hines — Anna Johnson Goode Hines (1927-2010) was the daughter of Robert and Anna Johnson. Born in Kansas City, Missouri, she married Charles Edwin Hines, son of Wesley E. and Mary Ellis Hines, on 19 December 1957 in Wilson. O.J. Hawkins — Presbyterian minister Obra J. Hawkins. Photo courtesy of History of Wilson County, North Carolina (1985). Studio shots, no. 32: Geneva Jones Bailey. Geneva Jones Bailey (1876-1959) with her Bible. In the 1880 census of Old Fields township, Wilson County: farmer Richard Jones, 35; wife Lucy, 25; and children Catharine, 8, James R., 7, Louisa, 4, Geneva, 3, and Rosa L., 10 months; plus Mary Boykin, about 45, mother-in-law. On 20 December 1893, at the residence of Richard Jones in Old Fields township, John D. Bailey, 24, son of Hill and Mary Bailey, married Genevia Jones, 18, daughter of Richard and Lucy Jones. In the 1900 census of Springhill township, Wilson County: farmer John D. Bailey, 31; wife Geneva, 23; children Rhoda, 4, Pearl, 1, and Mary L., one month; plus servant Lillie Bagley, 35. In the 1910 census of Old Fields township, Wilson County: farmer John D. Bailey, 35; wife Jeneva, 33; Rhoda, 15, Pearlie, 12, Mary L., 9, Lonnie, 8, Ora, 6, John T., 5, William H., 4, Melton P., 2, and Richard H., 1. 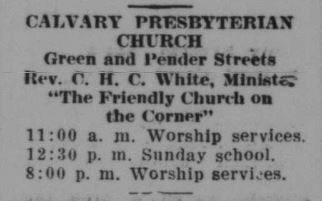 In the 1928 Wilson city directory: Bailey John D (Geneva) lab h 509 Church. In the 1930 census of Wilson, Wilson County: at 516 Church Street, oil mill laborer John Bailey, 60; wife Geneva, 52; and children Johnny, 16, James, 14, Perry, 21, and Jerry, 24 (both railroad laborers); plus lodgers Mack Miller, 35, an auto mechanic in a garage, and Mary P. Williams, 74, a private nurse. Bailey owned the house, valued at $2000. Geneva Jones Bailey died 29 September 1959 at her home at 516 Church Street, Wilson. Per her death certificate, he was born 6 March 1876 in Wilson to Richard Jones and Lucy Boykins; was a widow; and had worked as a tobacco factory laborer and minister. Rev. James H. Bailey of Riverton, New Jersey, was informant. This extraordinary photograph is courtesy of Findagrave.com contributor James Morgan.